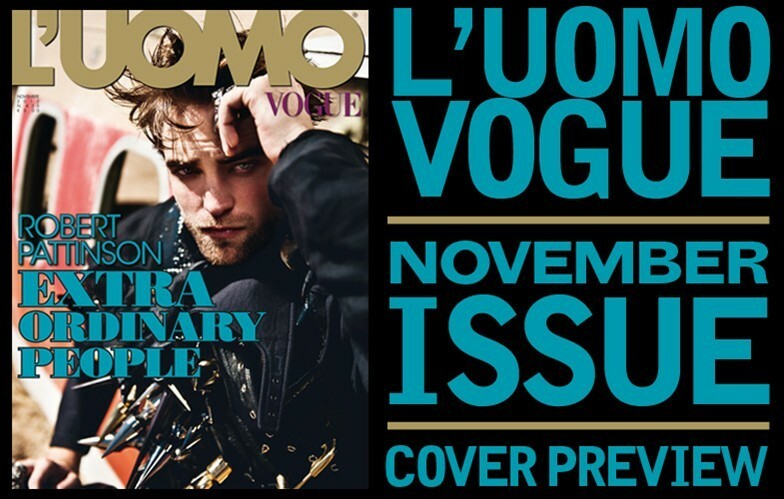 L'Uomo Vogue has released a preview of their next issue and guess who is on the cover?! 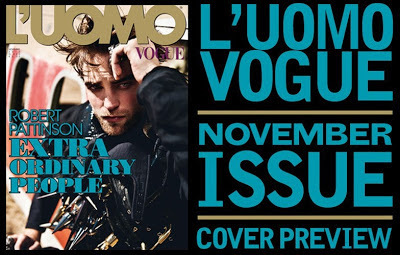 - it was shot by Caitlin Cronenberg and will be available starting November 5th in Italy. Before he came on the scene, vampires were old, loners, tormented. They lived hidden away in spooky mansions, they enveloped themselves in dark, heavy cloaks and wandered alone, thirsting for blood, in the night hours. In daytime, they would sleep in the darkness of a massive coffin secreted in a shadowy vault or crypt to protect themselves from contact with lethal sunlight. With him, however, everything changed. Thanks to the legendary Edward Cullen, the character Robert Pattinson plays in the Twilight saga, the undead have entered a new era: that of the post-vampires. Young, good-looking, they go out in the day. “How many years have you been seventeen?” they ask each other, smiling, in an attempt to give a measure of their eternity. Because death is no longer inevitable in the Twilight world. In fact they are not dead and they never will die. They are not condemned to die. Unlike the old vampires – the ones played by Bela Lugosi or Christopher Lee – post-vampires are not condemned to a life of eternal darkness in exchange for the “dark gift” of immortality. On the contrary, assisted by the fact that they live in a town in the state of Washington, where the sky is always grey and the sun rarely shines, they mix with other teenagers, they go to the same high school, they blend into the community. It became an instant cult: teenage communities across the world gather together on Facebook to exchange adoring messages about Robert Pattinson or his character, Edward Cullen, and they never tire of watching them again and again in hundreds of YouTube videos and trailers. Go see: some videos have exceeded 18 million views. 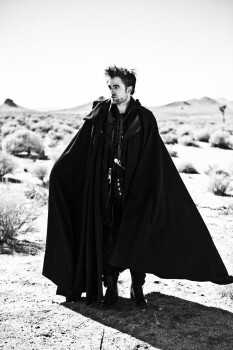 Robert Pattinson is the living icon of this social cult: the body/symbol which encapsulates a kind of long-awaited anthropological mutation that makes his Edward a sort of prophet or messiah. Almost a Moses of post-vampirism, behind whom advance swarms of neo-vampires created mainly by women novelists (not onlyTwilight 's Stephenie Meyer but also Anne Rice, Lisa Jane Smith, Charlaine Harris, and many others) and made into a media phenomenon through TV series like True Blood or The Vampire Diaries. 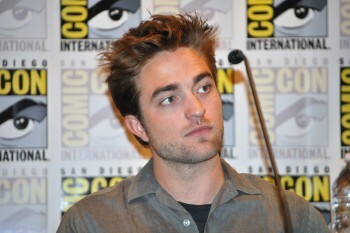 Tousled but monotonous, tormented though not excessively, unconventional yet reassuring, Pattinson’s vampire differs in several significant ways from the blood-suckers of the past, ones with pale/spectral skin and a very obvious hypertrophy of the canine teeth, who trod the streets of plague-stricken towns. They bit to extract the “juice of life”; he forgoes human victims and chooses to drink only animal blood just to be able to mix with humans. 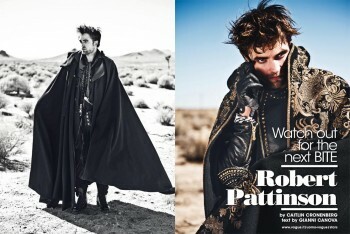 As if he were a philanthropist vampire with a penchant for good works. It’s hard to say whether Robert Pattinson, born in 1986, is or is not like the character that made him an icon of the Web 2.0 generation. Like Edward, Rob or R-Patz (as his fans call him) comes across as cerebral, often ill at ease, and even more often open to impossible impulses and ambitions. 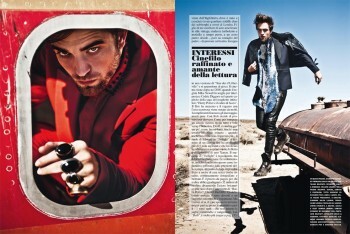 For example, it seems he’s more interested in being recognized as a musician than as an actor. He wrote several songs for Twilight, he plays the piano and guitar, he was in a rock bank (Bad Girls) and he has never denied his ambition to become a music producer. He’s very atypical as Hollywood products go. 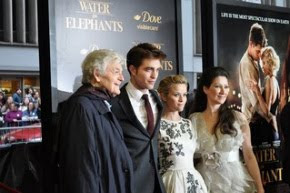 Unlike Kristen Stewart – Isabella “Bella” Swan in Twilight– who is the daughter of a Fox producer and a screenwriter, Pattinson was not brought up in the madhouse of Tinseltown studios. On the contrary, he’s from England, where he was born and raised in a middle-class, south-west London suburb. The son of an importer of vintage American cars, a rebellious schoolboy and a spare-time model, it appears it was some advice from his father that prompted him to try live theater. He happened on a version of Tess of the d’Urbervillesand developed a deep interest in acting. Movies came later, in 2005, when director Mike Newell chose him for the part of Cedric Diggory in Harry Potter and the Goblet of Fire, the fourth film in the famous saga. The movie is a success and the boy with the glum look is noticed by many. Compliments abound, as does encouragement. And so Rob decides to make a real go of it. As if breaking a vicious circle, he leaves everything and flies to the U.S. where he scrapes a living for a while, as many have done. Then at the last moment when he’d almost given up hope, he seized the role of Edward in Twilight at the end of a casting process involving over 5000 hopefuls and that he himself had faced and passed under the antidepressant effect of a Xanax. Twilight has enormous success, but he seems to spurn it. Indeed rumors often describe him as being irritated, suffocated by media pressure, stressed-out by the fans, unable to step out of his house without being mobbed, constantly photographed and Twittered. It’s the price to pay for being someone who, they say, earned £32m, thus becoming the richest British actor after Daniel Radcliffe, the boy who played Harry Potter. Some critics look down on such a rapid, overwhelming success. But, as we know, critics often habitually look down on things. Especially those – and there are many – who don’t like romantic, bloody sagas. Rob is far more cultivated than he may seem. He reads Martin Amis and Maupassant. He is a sophisticated movie buff, he has more than a superficial knowledge of French films, he mentions Jacques Audiard (Read My Lips, Rust and Bones) as one of the directors he’d like to work with, and says that the acting model he aspires to is Daniel Auteuilfor his performance in Alain Corneau’s Le deuxième souffle. It’s no coincidence if David Cronenberg wanted him for his movie version of Don DeLillo’s masterpiece, Cosmopolis: the most extreme (and most cerebral) director on the scene today calls the emerging actor most idolized by teen girls and offers him a role that is at once completely different and very similar to Twilight: not a vampire, but a Wall Street wolf. A high finance guru. Young and ruthless. One who can cause misery to thousands of people with a single move. Closed away in his stretch limo, lounging on leather seats, his only worry is to get to his barber for a quick trim. He crosses Manhattan from East to West as the uprising of those made ever poorer by global capitalism rages on the streets of the Big Apple. He seems entirely indifferent to it all. 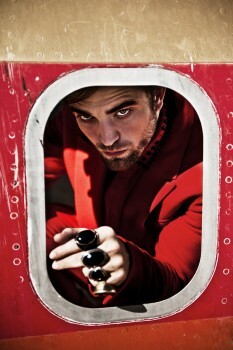 Pattinson’s broker is, perhaps, the vampire that Edward could not be. He never steps out of his car, the crowd fills him with horror, he never mixes with other human beings. In Twilight he tamed the vampire myth and, in a way, made it fit in with a normal teenage mindset that needs to believe that every impossible love can hope for a happy ending, but he does exactly the opposite inCosmopolis, denying any hope of a happy conclusion. Perhaps the real Volturi (the “baddie” vampires in Twilight) are the ones in Cosmopolis, where they drain the blood of helpless, resigned victims. Meanwhile, the last episode in the Twilight saga,Breaking Dawn, Part 2, is released worldwide: Bella becomes a vampire and she and Edward have a baby girl who is a hybrid, immortal like a vampire but destined to grow up as a human. But after such an “extreme”, courageous role as the one in Cosmopolis, Rob wants to shrug off any Edward Cullen-like typecasting. And so he’ll be T.E. Lawrence (better known as Lawrence of Arabia) in Werner Herzog’s movie Queen of the Desert, and he’ll dash around the Australian bush – in the wake of the legendary Mad Max of the ’80s – in the futuristic/existential western The Rover helmed by Animal Kingdom director David Michôd. Roles that seem very different from Edward Cullen. That’s how they seem. In actual fact, the characters he chooses all have something in common: they’re hesitating between the necessity of crossing the threshold of their majority and their desire to stay young for ever. We'll keep you posted as more info and pics come in!